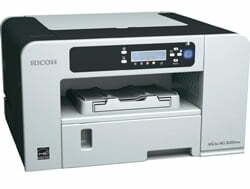 Midshire has a wide range of printers suitable for any type of office or working environment. We are able to recommend the perfect device based on a business’s individual needs, and can be sure that we have the model to fit your requirements. The first thing to consider when purchasing a new printer, is the type you need. It’s vital that you understand exactly what you will need the printer to do before diving into a decision. There are a number of types to think about, from desktop devices; ideal for small work groups that need constant access, floor-standing devices, which are perfect for small to medium enterprises; who can share access to a printer, right up to light production and digital presses, designed for print rooms, reprographics departments, or large office environments which do high volume print jobs, often continuously. Not sure what type or brand is right for your business? Our experts will help you chose from our wide range of devices and we can even deliver the machine for a free trial before you commit to purchasing the device, so you know that it is the right fit for you business. All you have to do is pay for the consumables and paper you use! Printers can be purchased outright or financed via a lease. Due to the large investment associated with purchasing printers outright, many companies chose to lease printers, typically for three to five years. A lease is a well-established, tax efficient way of financing printing equipment. When leasing a printer from Midshire, you not only avoid the up-front costs of purchasing, but you also avoid the ad-hoc costs associated with machine breakdowns. Midshire can provide a Managed Print Service contract to both purchased and leased devices. We also operate on a 5 year satisfaction guarantee, so you know that the printer will be maintained throughout the life of the contract. Midshire offers a Managed Print Service contract to all of our customers. A Managed Print Service is a comprehensive service that gives companies complete peace of mind where their printers and photocopiers are concerned, from the installation and comprehensive training, right through to preventative maintenance and a free toner recycling service. For the duration of your contract, our team of service engineers will provide general maintenance, preventative maintenance and a targeted 4-hour response to any emergency calls. You will also receive all of your toner cartridges automatically though our OneStop Software. Not sure you can afford new? Why not look at our extensive range of refurbished printers? These are ideal for new business start-ups or companies with a limited budget. They will be able to get a refurbished device with the specification they require far cheaper than a brand new one. Additionally, all our refurbished devices can be placed on our Managed Print Service, so you rest assured you will still receive the same level of service and quality will remain high.